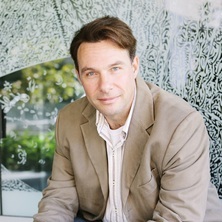 Professor Craig Forrest is the Director of the Marine and Shipping Law Unit, and Fellow of the Centre for Public, International and Comparative Law. Professor Forrest teaches and undertakes research in the areas of maritime law, private international law and cultural heritage law. He has published widely in these areas, and contributed directly to national and international public policy development through advice and workshops provided to the United States, United Kingdom, South African and Australian governments, and directly to the drafting of national legislation and international law. In maritime law, Professor Forrest has provided advice to both government and the industry in relation to the law of the sea and wet maritime law. He supervises United Nations Division of Ocean Affairs and Law of the Sea Nippon Fellows. Professor Forrest has a long association with the United Nations Educational, Scientific and Cultural Organisation (UNESCO). Between 1998 and 2000, he was a member of the South African delegation to UNESCO to negotiate the 2001 Underwater Cultural Heritage Convention. He acted as an advisor to UNESCO regional cultural meetings in 2009 (Solomon Islands) and 2012 (Cambodia), and in 2013 drafted a Model Law for the implementation of UNESCOs cultural heritage conventions for the Caribbean States and co-chaired the intergovernmental meeting in St.Kitts and Nevis. He is currently engaged in a UNESCO project, with Dr Bill Jeffery (University of Guam) on the protection on underwater cultural heritage in Micronesia. He is a member of the International Law Association's Committee on Governanace in Global Cultural Heritage Governance. Professor Forrest is the general editor of the Australian and New Zealand Maritime Law Journal, associate editor of the Australian International Law Journal and on the editorial boards of the World Maritime University Journal of Maritime Affairs and the International Maritime and Commercial Law Yearbook. He has held visiting research and teaching position at Cambridge University, National University of South Korea, City University of Hong Kong, Dalhousie University Canada and University of Nottingham (the latter as a Universitas 21 Fellow). Before turning to the law, Professor Forrest served as a naval officer in the South African Navy. Gaskell, Nick and Forrest, Craig (2016) The Wreck Removal Convention 2007. Lloyd's Maritime and Commercial Law Quarterly, 2016 49-117. Dromgoole, Sarah and Forrest, Craig (2011) The Nairobi Wreck Removal Convention 2007 and hazardous historic shipwrecks. Lloyd's Maritime and Commercial Law Quarterly, Part 1 92-122. The staff of the Marine and Shipping Law Unit (MASLU) are available to supervise research projects in the general area of national and international maritime law. These include private maritime law issues (e.g. carriage of goods, international trade, maritime casualties and environmental compensation); maritime law regulatory issues (e.g. safety and environmental protection); enforcement of maritime claims (e.g. arrest, jurisdiction, security, liens, compulsory insurance); international maritime law reform (e.g. the role of the IMO, UNCTAD, UNCITRAL and CMI) and issues arising in the Law of the Sea. Forrest, Craig (2017). Eastern seaboard. In P.H.G. Vrancken and M. Tsamenyi (Ed. ), The law of the sea: the African Union and its member states (pp. 63-110) Claremont, South Africa: Juta. Forrest, Craig J. S. (2016). Review of Panos Koutrakos and Achilles Skordas, eds., The Law and Practice of Piracy at Sea: European and International Perspectives. In Aldo Chircop, Scott Coffen-Smout and Moira McConnell (Ed. ), Ocean Yearbook (pp. 594-598) Boston, MA, United States: Brill. Forrest, Craig (2015). Towards the recognition of maritime war graves in international law. In Ulrike Guerin, Arturo Rey da Silva and Lucas Simonds (Ed. ), Underwater cultural heritage from World War I (pp. 126-134) Paris, France: UNESCO Publishing. Forrest, Craig J.S. (2014). Immunity from seizure for works of art on loan: The criminal context. In Duncan Chappell and Saskia Hufnagel (Ed. ), Contemporary perspectives on the detection, investigation and Prosecution of Art Crime: Australasian, European and North American perspectives (pp. 169-183) Farnham, England: Ashgate Publishing Limited. Forrest, Craig J.S. (2012). A New International Regime for the Protection of Underwater Cultural Heritage. In James A. R. Nafziger (Ed. ), Cultural Heritage Law (pp. 291-334) Cheltenham: Edward Elgar. Forrest, Craig (2011). Shipping. In Rachel J. Baird and Donald R. Rothwell (Ed. ), Australian coastal and marine law (pp. 203-227) Annandale, N.S.W., Australia: Federation Press. Forrest, Craig (2011). Shipping and the marine environment in Australia. In Warwick Gullett, Clive Schofield and Joanna Vince (Ed. ), Marine resources management (pp. 123-132) Chatswood, NSW, Australia: LexisNexis Butterworths. Forrest, Craig J.S. (2008). International and National Laws Relating to Archaeology Under Water. In Amanda Bowens (Ed. ), Underwater Archaeology: The NAS Guide to Principles and Practice 2nd ed. (pp. 45-52) Oxford, U.K.: Blackwell Publishing. Forrest, Craig (2006). South Africa. In (pp. 247-270) : Martinus Nijhoff Publishers. Forrest, C. J. S. (2006). South Africa. In Sarah Dromgoole (Ed. ), The protection of underwater cultural heritage: National perspectives in light of the UNESCO Convention 2001 2nd ed. (pp. 247-270) Leiden, The Netherlands: Martinus Nijhof Publishers. Gribble, John and Forrest, Craig (2006). Underwater cultural heritage at risk : The case of the Dodington Coins. In Barbara Hoffman (Ed. ), Art and cultural heritage : Law, policy, and practice (pp. 313-324) New York, N.Y., United States: Cambridge University Press. Forrest, Craig (2018) South Africa. Lloyd's Maritime and Commercial Law Quarterly, International Maritime and Commercial Law Yearbook 2018 171-182. Forrest, Craig (2017) South Africa. Lloyd's Maritime and Commercial Law Quarterly, International Maritime and Commercial Law Yearbook 2017 181-188. Forrest, Craig (2016) South Africa. Lloyd's Maritime and Commercial Law Quarterly, International Maritime and Commercial Law Yearbook 2016 200-210. Forrest, Craig J. S. (2015) South Africa. International Maritime and Commercial Law Yearbook, 2015 183-194. Forrest, Craig J. S. (2014) Safeguarding Cultural Heritage in Times of War. World Politics Review, 15-19. Forrest, Craig (2014) South Africa. Lloyd's Maritime and Commercial Law Quarterly, 2014 187-199. Forrest, Craig (2013) Art on loan: the role of immunity in dispute resolution. Transnational Dispute Management, 10 5: 1-9. Forrest, Craig J. S. (2013) South African Maritime Law. Lloyds Maritime and Commercial Law Quarterly, 2013 Yearbook: 194-201. Forrest, Craig (2013) The scope of immunity from seizure and suit for cultural objects on loan in Australia. Media and Arts Law Review, 18 1: 17-45. Forrest, Craig (2012) Book review - 'The Oxford handbook of maritime archaeology'. Australian Journal of Maritime & Ocean Affairs, 4 2: 69-71. Forrest, Craig (2012) Culturally and environmentally sensitive sunken warships. Australian and New Zealand Maritime Law Journal, 26 1: 80-88. Forrest, Craig (2012) South African Maritime Law. Lloyd's Maritime and Commercial Law Quarterly, 2012 185-195. Forrest, Craig J. S. (2011) UNESCO's Cultural Heritage Conventions in the Asia-pacific: The World is Not Enough. Melaka Journal of Heritage, 1 1: 17-44. Forrest, Craig (2010) Book review - Beat Schönenberger, 'The restitution of cultural assets'. International Journal of Cultural Property, 17 3: 599-602. Forrest, Craig (2009) The Hague Convention on Choice Of Court Agreements: The maritime exceptions. Journal of Private International Law, 5 3: 491-516. Forrest, Craig J.S. (2009) Historic Wreck Salvage: an International Perspective. Tulane Maritime Law Journal, 33 2: 347-379. C Forrest (2008) The Balancing of maritime interests in the Southern African oceans in light of the new international maritime security regime. The Comparative and International Law Journal of Southern Africa, 41 1: 1-23. Forrest, Craig (2008) The balancing of maritime interests in the Southern African oceans in light of the new international maritime security regime. Comparative and International Law Journal of Southern Africa-Cilsa, 41 1: 1-23. C Forrest (2008) At Last: a Convention on the Removal of Wrecks. Journal of International Maritime Law, 14 5: 394-408. White, Michael and Forrest, Craig (2008) Australian Maritime Law Update: 2007 General Maritime issues. Journal of Maritime Law and Commerce, 39 3: 333-360. Forrest, Craig J.S. (2008) Book Review: Modern Maritime Law (2nd Ed by Aleka Mandaraka-Sheppard'. Lloyd's Maritime and Commercial Law Quarterly, 248-250. Forrest, Craig and Gaskell, Nicholas (2008) Marine pollution damage in Australia: Implementing the Bunker Oil Convention 2001 and the Supplementary Fund Protocol 2003. University of Queensland Law Journal, 27 2: 103-163. Pierre-Jean Bordahandy and C Forrest (2008) Maritime Security and Maritime Law in Australia. Journal of International Maritime Law, 14 2: 162-179. Forrest, Craig J.S. (2008) Review of Modern Maritime Law. Lloyd's Maritime and Commercial Law Quarterly, 2008 2: 248-250. Forrest, Craig J.S. (2008) South African Maritime Law. International Maritime and Commercial Law Yearbook, 1 1: 104-111. Forrest, Craig (2007) Cultural heritage as the common heritage of humankind: a critical re-evaluation. Comparative and International Law Journal of Southern Africa-Cilsa, 40 1: 124-151. Forrest, C. J. S. (2007) An Australian perspective on world heritage sites. Revue Juridique de L'Environnement, 27 Numero Special: 123-130. Forrest, C. J. S. (2007) Australian Maritime Law update: 2006 (Part 2). Journal of Maritime Law and Commerce, 38 3: 309-333. Forrest, C. J. S. (2007) Cultural heritage as the common heritage of humankind: A critical re-evaluation. The Comparative and International Law Journal of Southern Africa, 40 1: 124-151. Forrest, Craig J.S. (2007) Liability Salvage. The Journal of International Maritime Law, 13 2: 84-88. Forrest, C. J. S. (2007) Pilots and Pilotage Law. The Oxford Encyclopedia of Maritime History, 3 338-340. Forrest, Craig J. S. (2007) The doctrine of military necessity and the protection of cultural property during armed conflicts. California Western International Law Journal, 37 2: 177-220. Forrest, C. J. S. and White, M. (2006) Australian Maritime Law update: 2005. Journal of Maritime Law and Commerce, 37 3: 299-329. Forrest, C J S (2006) Going, Going, Gone: Regulating the Market in Illicit Antiquities: A Book Review. International Journal of Cultural Property, 13 3: 371-375. Forrest, Craig J. S. (2006) Liability for negligence of compulsory unlicensed pilots. Journal of International Maritime Law, 12 2: 95-99. Forrest, C J S (2006) Liability for pure economic loss in Maritime Torts confirmed. Journal of International Maritime Law, 12 2: 103-106. Forrest, Craig J. S. (2006) The meaning of owner for the purposes of ship arrest in Australia. Journal of International Maritime Law, 12 3: 1162-1165. Forrest, Craig J. S. (2005) A Career in Maritime Law. Shipping in Australia, 2004-2005 103-103. Forrest, C. J. S. (2005) Liability for pure economic loss in maritime torts. Journal of International Maritime Law, 11 3: 177-182. Forrest, C. J. S. (2005) The portection of Cultural Heritage in South Africa and its Implementatuion of the 1970 UNESCO Convention. Art Antiquity and Law, 10 1: 1-27. Forrest, C. J. S. (2004) Australia's protection of foreign states cultural heritage. University of New South Wales Law Journal, 27 3: 605-630. Forrest, C. J. S. (2004) Edgar Gold, Alde Chircop and High Kindred, Essentials of Canadian Law: Maritime Law. Toronto: Irwin Law, 2003, xxxiii,908pp Can $59.95 [ISBN: 1-55221-086-3]. MLAANZ, 18 196-197. Forrest, C. J. S. (2004) The illicit trade in Iraqi heritage: Considerations for the Australian art and antiquities market. Alternative Law Journal, 29 3: 121-126. Has the application of salvage law to underwater cultural heritage become a thing of the past? Forrest, CJS (2003) Has the application of salvage law to underwater cultural heritage become a thing of the past?. Journal of Maritime Law And Commerce, 34 2: 309-349. Forrest, C. J. S. (2003) Strengthening the international regime for the prevention of the illicit trade in cultural heritage. Melbourne Journal of International Law, 4 2: 592-610. Forrest, Craig J. S. (2001) Protection of Underwater Cultural Heritage: Draft Convention Finalised. International Law Association Newsletter, 21 5-5. Forrest, Craig (2000) 'Negotiating the past: the making of memory in South Africa' Sarah Nutall and Carli Coetzee (eds). Oral History, 28 2: 108-109. Craig Forrest (2000) Salvage Law and the Wreck of the R.M.S. Titanic. Lloyd's Maritime and Commercial Law Quarterly, 1 . Forrest, Craig J.S. and P Fletcher-Tomenius (2000) The Protection of the Underwater Cultural Heritage and the Challenge to UNCLOS. Art, Antiquity and Law, 5(5) . Craig Forrest (1998) Sate Claims to Shipwrecks in the US: The Brother Jonathan. Lloyd's Maritime & Commercial Law Quarterly, 4 509-514. Forrest, Craig (2018). Towards the Recognition of Legacy Wrecks as Memorials and Maritime War Graves. In: The Legal Regime of Underwater Cultural Heritage and Marine Scientific Research, Bodrum, Turkey, (). 4-5 October 2018. Forrest, Craig J. S. (2017). The Law of Wreck. In: Chinese University of Hong Kong School of Law Semianr Series, Hong Kong, (). 21 April 2017. Forrest, Craig (2016). Salvage Contracts & the Nairobi Convention. In: AMSA's Salvage & Wreck Workshop, National Maritime Museum, Sydney, (). 15-16 June 2016. Forrest, Craig J. S. (2016). Salvage contracts and the Nairobi Convention. In: AMSA's Salvage and Wreck Workshop, Sydney, NSW, Australia, (). 15-16 June 2016. Forrest, Craig (2016). State cooperation in combating transboundary marine pollution in South East Asia. In: Zach George, Erin Gourlay and Bevan Marten, Maritime Law in the Asia-Pacific Region. Maritime Law in the Asia-Pacific Region, Wellington, New Zealand, (78-89). 25-26 February 2016. Forrest, Craig J.S. (2015). Indemnities and Towage Contracts. In: Indemnities and Guarantees in Maritime Law: Global Shipping Forum 2015, Singapore, (). 7-8 December. Forrest, Craig (2015). Towards the recognition of maritime war graves in international law. In: Ulrike Guérin, Arturo Rey da Silva and Lucas Simonds, Underwater Cultural Heritage from World War I: Proceedings of the Scientific Conference on the Occasion of the Centenary of World War I. Scientific Conference on the Occasion of the Centenary of World War I, Bruges, Belgium, (126-134). 26-27 June 2014. Corrin, Jennifer Clare and Forrest, Craig J. S. (2014). A model law to implement the Convention on the Protection of the Underwater Cultural Heritage and its possible application in plural legal regimes in Pacific small islands states: a case study of Solomon Islands. In: Asia-Pacific Regional Conference on Underwater Cultural heritage, Hawaii, (). 12-16 May 2014. Forrest, Craig (2014). Why Australia should ratify the Convention. In: Graeme Henderson and Andrew Viduka, Towards Ratification: Papers from the 2013 AIMA Conference Workshop. AIMA 2013: Australasian Institute for Maritime Archaeology Conference. UNESCO 2001 CPUCH Workshop, Canberra, ACT, Australia, (14-17). 3-5 October, 2013. Forrest, Craig J.S. (2013). The Legal Impact, Potentials and Importance of the 2001 Convention for Australia. In: Australian Institute for Maritime Archaeology Conference, Research School of Humanities and the Arts, ANU, Canberra, (). 4 October. Forrest, Craig J.S. (2013). The Need for Australia to Ratify the 2001 Convention. In: UCH Workshop, ANU, Research School of Humanities and the Arts, Canberra, (). 3 October. Forrest, Craig J. S. (2012). Jurisdiction Clauses in International Contracts and in Contracts for the Transportation of Goods: Issues All at Sea. In: Law Evenings: UNISA Research Seminar Series, South Australia, Australia, (). 28 November 2012. Forrest, Craig J. S. (2012). Legal Pluralism in the Pacific: Solomon Island's World War II Heritage. In: Critical Approaches to Museums and Heritage, Brisbane, Australia, (). 10 May 2012. Forrest, Craig J. S. (2012). The Legal Framework and Practical Issues of the 2001 Convention in the Asian Context. In: UNESCO Asia-Pacific Regional Meeting on the Protection of Underwater Cultural Heritage, Koh Hong, Cambodia, (). 14 -15 May 2012. Forrest, Craig J. S. (2012). The Nairobi Wreck Removal Convention. In: Hong Kong Centre for Maritime and Transportation Law and Hong Kong Law Society Seminar, Hong Kong, (). 23 February 2012. Forrest, Craig J. S. (2012). The Scope of Immunity from Seizure for Cultural Objects on Loan in Australia. In: University of South Australia School of Law Seminar Series, Adelaide, Australia, (). 29 November 2012. Forrest, Craig (2011). 'Hazardous and Historic Sunken Warships'. In: US, Canadian, Australian and New Zealand Maritime Law Associations Joint Conference, Honolulu Hawaii, (). 1-7 December 2011. Forrest, Craig J. S. (2008). 'Applying a Source State's Property Law in a Market State's Court: a Reconsideration of the Theory of Renvoi and Its Application to Cultural Heritage'. In: World Archaeological Congress, Dublin, Ireland, (). 30 June 2008. Forrest, Craig J.S. (2008). Collateral Damage? Archaeology, War and Plunder in Iraq, 1914-2007: The Doctrine of Military Necessity and the Protection of Cultural Property During Armed Conflicts'. In: World Archaeological Congress, Dublin, Ireland, (). 30 June 2008. Forrest, Craig (2008). The Hague Convention on Choice Of Court Agreements: the maritime exceptions. In: Colloquium on the Hague Choice of Courts Convention, University of Southern Queensland, (). 3 October 2009. Forrest, Craig J. S. (2006). An Australian perspective on world heritage sites. In: Le Droit de l'Environment en Novelle-Caledonie, Noumea, New Caledonia, (). 6-8 November 2006. Forrest, C J S and Gribble, (2006). Perspectives from the Southern Hemisphere: Australia and South Africa. In: Dr Sarah Dromgoole, The UNESCO Conference for the Protection of the Underwater Cultural Heritage. The UNESCO Convention for the Protection of Underwater Heritge, London, (30-35). 28 October 2005. Forrest, Craig (2018) Wrecks in the Pacific. ABC Radio Australia. An Examination of the Application of the Consumer Protection and Antitrust Regime of the Commonwealth of Australia to the International Regimes Governing the Carriage of Goods by Sea.